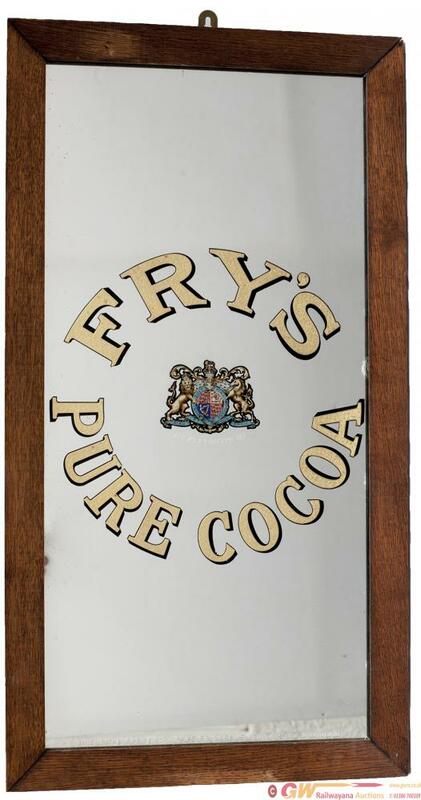 Advertising mirror FRY'S PURE COCOA with Royal Warrant Crest to the centre. In original oak frame measures 28in x 15in. In very good condition with one small chip centre right.